What is a Cranial Remolding Orthosis (CRO) and how does it work? 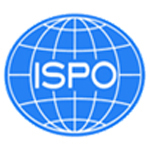 A Cranial Remolding Orthosis is a type of (medical device). It is custom-made to treat Plagiocephaly, Brachycephaly and Scaphocephaly in children with moderate to severe skull asymmetry. The helmet is designed to reshape the skull over time. It does not apply pressure but rather blocks an area of unwanted growth known as “Bossing”. This causes the skull growth to occur where the flattening has taken place. This process causes no discomfort to the baby. How long will your baby need to wear the helmet? Your baby will likely need to wear the helmet for 4 to 6 months. It is recommended that your baby wear the helmet between 18 to 22 hours per day. Your Orthotist will give you specific recommendations based on your baby’s needs. An initial visit with an orthotist is needed to measure your child’s head and obtain a shape capture of your baby’s head using a Spectra Scanner. Measurements of your baby’s head are taken with the aid of a measuring tape made of cloth and a pair of calipers (a measuring tool). 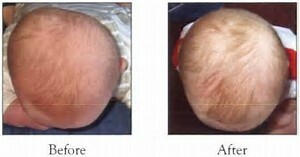 Digital Pictures are obtained of the Front, Back, Sides and Top of your baby’s head. This gives us a reference point that can be used to confirm changes over time. All of these steps may be repeated at each follow-up visit. Your baby will need to wear a specially designed stockinette cap. This will maximize the digital imaging captured by the scanner. Your baby may also need to remove any tops that distort the scanning process. Land Marks will be put on the stockinette using colored sticky dots. These dots, will be on the forehead, back of the head, centre of each ear, and around each ear. Finally, Shape capturing will take place using the spectra scanner. This device uses a blue light that is totally safe for your baby’s eyes and skin. The whole process can take 45 – 90-minutes. A return visit is needed to make sure the helmet fits properly. This visit will be booked 2 to 3 weeks after the initial casting visit. At this visit, you will be taught the proper use and care of the helmet. The helmet will be placed on your baby’s head a number of times to allow the correct trim lines to be established. Once this is complete, the helmet will be finished by sanding the edges, adding straps, and splitting the helmet in the appropriate position. During the final stage of the finishing process, you are free to take a break. When you return, you will be taught how to use and care for the helmet. You will have a follow-up visit with your Orthotist 3 weeks after the fitting and then every 4 weeks until the end of treatment. Your baby’s head will be examined for shape changes. Measurements of your baby’s head circumference as well as the distance from the bridge of the nose to left and right ear will be taken. There may be adjustments made to your baby’s helmet at these visits. Most small children do not like wearing anything on their heads. It will likely take 3 to 7 days to get your baby used to wearing the helmet for 18 to 22 hours a day. For the first few days, have your baby wear the helmet as long as possible (half an hour to 1 hour). Anticipate a sweaty head during these first few days. If your baby gets cranky, take off the helmet for 20 minutes, then put it back on. Increase wear time until your baby is wearing the helmet only when he is awake. Then, have your baby wear the helmet during waking hours and during daytime naps. Lastly, have your baby wear the helmet while sleeping through the night as well as during waking hours and nap hours. Depending on the complexity of the deformity, you may be allowed to remove the helmet for “tummy time.” Sometimes, the helmet may tip forward, making it hard for the baby to see while crawling. If this is an issue, contact your Orthotist. Unlock the locking strap over the slotted area of the helmet (where the helmet separates into 2 halves down the middle). Spread the slot slightly as you put the helmet on your baby’s head. Align the upper edge of the cut-out for the face along the eyebrow line. Align your baby’s ears evenly in the ear cut-outs. Tighten the slot and lock it in position. 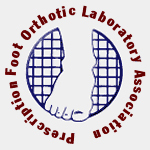 Your orthotist will demonstrate this for you. For the first 3 weeks, do not expect the helmet to stay in position. It will tend to rotate and may tip to one side because the inside of the helmet is symmetrical (even) but your baby’s head is not. 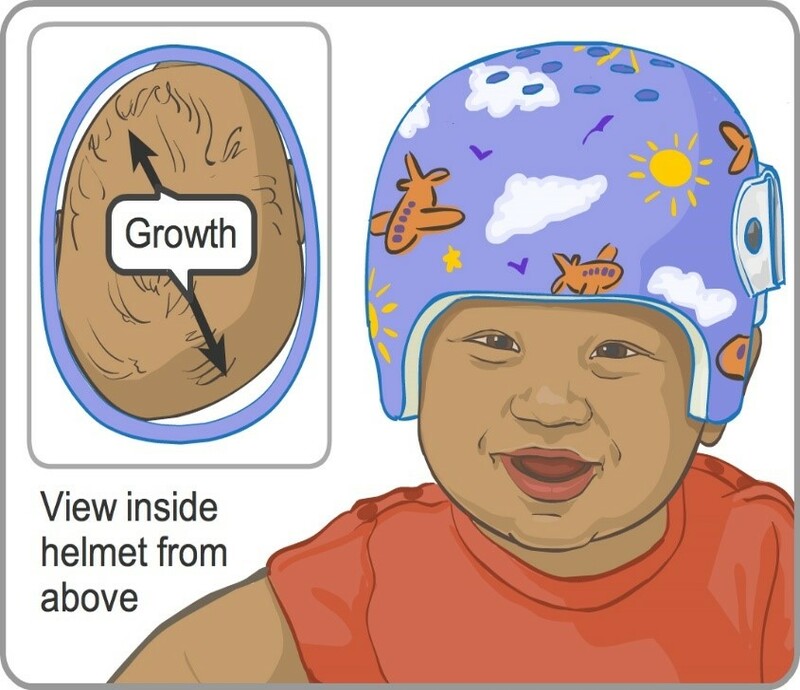 As your baby’s head begins to change shape, the helmet will start to rotate back in the other direction until it will stay in the proper spot. Unlock the closure strap over the slot (where the helmet separates into 2 halves down the middle). Spread the slot open slightly and remove the helmet. The helmet may cause red spots to occur on your baby’s head. These areas will be red whenever the helmet is worn. These spots may go deep red but they should not blister, swell excessively, or become an open wound. If this happens, discontinue the use of the helmet and call your orthotist as soon as possible. The tension on the slot in the helmet (where the helmet separates into 2 halves down the middle) must be adjusted 3 to 4 times a day. During the day, the head will get bigger due to increased water volume in the tissues. If the tension of the helmet is not adjusted to make room for the larger head size, the helmet may become too tight, causing too much pressure on the skull. This may cause a headache or in extreme cases, vomiting. Your orthotist will teach you how to adjust the tension on the helmet. Do not re-centre the helmet more than 4 times a day. Since the head regulates body temperature, you must check that your baby is not overheating with the helmet on. You may need to use thinner clothes and blankets. Watch for heat rashes. 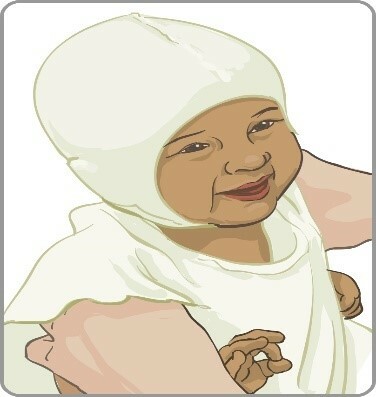 If your baby has a fever, do not put the helmet on your baby until the fever is gone. As the outer shell of the helmet is hard, use caution when you are close to your baby while he is wearing the helmet, to avoid being knocked in the face. There will be redness on your child’s head. Lotion can be applied to the red spots. If the redness persists, your Physician may prescribe cortisone cream. Wash your child’s hair once a day. Wipe the inside of the helmet twice a day with an alcohol wipe. Wipe vigorously and allow to air dry. After cleaning, dust the front of the helmet (forehead area) with corn starch to allow the skin on the forehead to glide more easily along the helmet. Your baby can sleep in any position with the helmet on. Check your baby’s head position with the helmet on in the car seat. If the neck is tilted too far forward, you should notify your Orthotist. The helmet will spin off centre at first. This is normal. Over the period of 3 to 4 weeks, the helmet will spin less as your baby’s head changes shape. 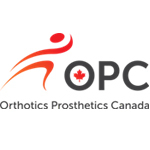 If you have any questions or concerns, call your Orthotist. The helmet is designed to correct the shape of your child’s skull over time. Your baby will likely need to wear the helmet for 4 to 6 months. You and your baby will need to visit your Orthotist several times to Measure, Scan, and Fit your child’s helmet. You will also be required to attend scheduled follow-up appointments, to ensure that your baby’s skull is achieving the desired outcomes. Currently, in Saskatchewan, the SAIL Program may cover some or all of the cost of the medically prescribed corrective helmet. Most extended health insurance plans may cover all or a portion of the cost, depending on your coverage. If needed, ask your orthotist for an insurance letter to submit to your insurance company for coverage. As this is a custom made medical device, the total cost can range from $2800 – $3200 and is dependant on the complexity involved. As this is a medically prescribed device, you would be exempt from paying GST or PST. If you do not qualify for the SAIL program or NIHB, you are required to pay a portion of the cost, A minimum of 50% of the payment for this device is expected at the time of the first visit. The remaining 50% of the cost is expected when you receive the helmet. Please Note: We are unable to bill your insurance company directly. 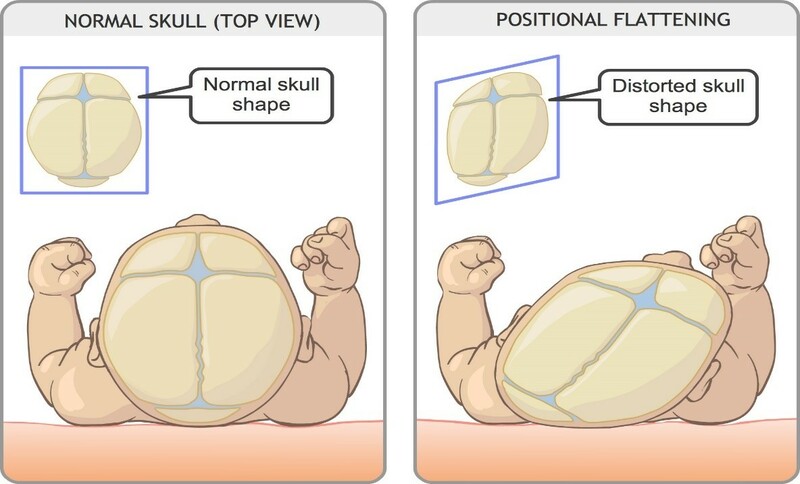 Both Torticollis and Deformational Plagiocephaly are most often treated with both cranial remolding orthosis along with, regular physical therapy that involves very specific stretching and neck strengthening exercises. Parents are encouraged to participate in a home treatment program called tummy time. This is a program that is setup by your therapist to promote safe supervised time for the baby to play on their tummy. This helps develop better head and neck control. Reducing the asymmetry of the skull reduces the potential affects of unwanted, intercranial pressure that may lead to delayed learning, hearing or even vision impairments. Your child will have less difficulty being fit with eye glasses. Having an asymmetrical head means that their eyes and ears may not be symmetrical. As a result, Eye wear must be altered or custom made such that they fit correctly. Even finding properly fitting fashion headwear can be difficult for individuals with asymmetrical head shapes. When Used as Directed…We get Great Results! We accept Cash, Visa, Master Card, Debit, or Cheques.